Kjell Lindgren, flight surgeon, Expedition 44/45, joined us for an episode that perhaps should have been called “we ask the space-man all of the things.” We asked him stuff that we wanted to know more about, and came away richer for the experience. If there’s just one technical term worth bringing home from this episode, it’s “expeditionary behavior.” It’s the sort of thing that can make us all richer for the experience. 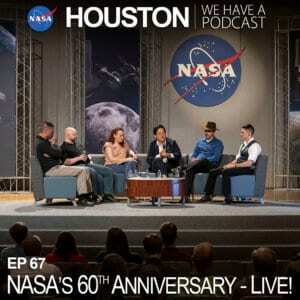 Credits: This episode was recorded by Benjamin Hewett at the Johnson Space Center in Houston, and mastered by Alex Jackson at Writing Excuses Mission Control in Chicago. BONUS: NASA invited us back to be on THEIR show, Houston We Have a Podcast, and that episode went live about three days before this did. More Kjell Lindgren!